Back pain and neck pain are among some of the most common types of pain our clients deal with. There is a wide range of treatments that are available for addressing back and neck pain. In order for us to accurately gauge what treatment is going to work for you, we need to sit down with you, discuss your pain history, and then based on that create a pain management plan. Many of our clients have benefited from a facet joint injection procedure. 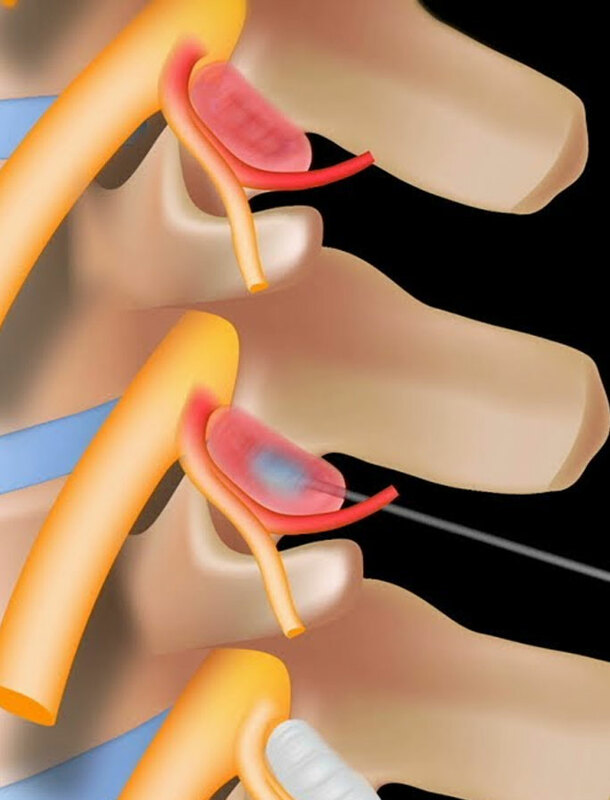 A facet joint injection procedure is pretty simple. It can be performed in an office or a surgical center. In order to get the best results from facet joint injections, it is best to use a live x-ray machine to properly guide the needle as well as prevent unintended nerve damage or injury. Most of our clients have the procedure performed without needing sedation. However, if you feel nervous about the procedure or about needles, an IV line may be used to give you relaxing medication. When the procedure starts, you will lay face down on a table. The medical professionals will thoroughly cleanse the skin around the area that is going to be treated. Then a mild numbing medicine is applied. For the first few seconds you might feel a slight sting, but it will quickly subside. Then the doctor is going to use the live x-ray machine to guide them as they inject the small needle into the facet joint. Once they are in the general vicinity, the doctor will inject a little contrast dye. This allows them to confirm that the needle is in the joint and that the medication is being delivered to the right location. Once this has been confirmed, the doctor will inject a small amount of anesthetic and anti-inflammatory medication into the joint in a slow and controlled way. While the actual injections just take a couple of minutes, you should expect the entire procedure to take around 30 minutes. In the days following the procedure, you might feel a slight increase in your pain. This is a result of the injection. You’ll first start to feel this pain as the numbing medicine the doctor used during the procedure wears off. However, as the injected medicine begins to take effect, the pain will dissipate. If the injection area is sore, use a cold pack for pain relief. After the initial six hour waiting period, you can go back to taking normal pain medication until the full effects of the injection are felt. Your doctor may recommend that you do physical therapy with the goal of maximizing the benefits of the injection procedure. As the weeks go by and your pain improves, it is recommended that you start exercising in moderation. The increase in exercise should be gradual to prevent the recurrence of pain. Once the procedure is done, you will be allowed to rest for about half an hour. This gives your body a chance to accept and absorb the medicine. Then the physician will return and ask you to do some movements that usually trigger your pain. If the facet joint was not the source of your pain, you may not experience immediate pain relief. However, if it was the source of your pain, you may begin to experience relief immediately or within a few hours after the procedure. It would be good to take advantage of the time after your procedure to talk to your doctor about any discomfort you still feel as well as address any questions or concerns. Living with back pain can be very traumatic. It changes the way that you interact with others and the way that you present yourself to the world. Facet joint injections can help remove that pain. It can give you the freedom to move and to experience life the way you want. Our goal is to work with you to see if facet joint injections are actually right for you. The way that we do this is by first listening to you. We are keenly interested in learning all about your pain, the injury or infirmity that caused the pain, and what things you have tried in the past to address your pain. Once we have this information, we are better equipped to work with you to determine if things like facet joint injections are the best course of action for you. We have created a happy, safe, friendly environment where you can feel free to discuss your pain. We will never question or doubt the realness or the severity of your pain. Our goal is to work with you in creating a long-term and short-term pain management treatment. We never give up on our clients. As long as they are willing to work to manage their pain, we are willing to work with them. We warmly invite you to contact us today. See for yourself how our years of experience can help you get back to living the life you desperately deserve. You may experience an increase of your pain symptoms in the days following the procedure, but they should go away. Long-term increased pain from the procedure is very rare. Although it almost never happens, there is a small the risk of nerve or spinal cord damage, which could result in paralysis.